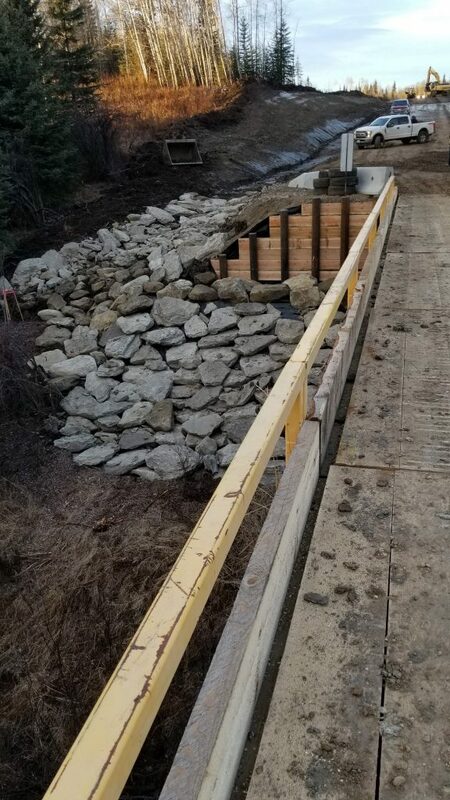 This project consisted of the installation of a permanent 100 ft bridge. The bridge was a two-piece bolt together. 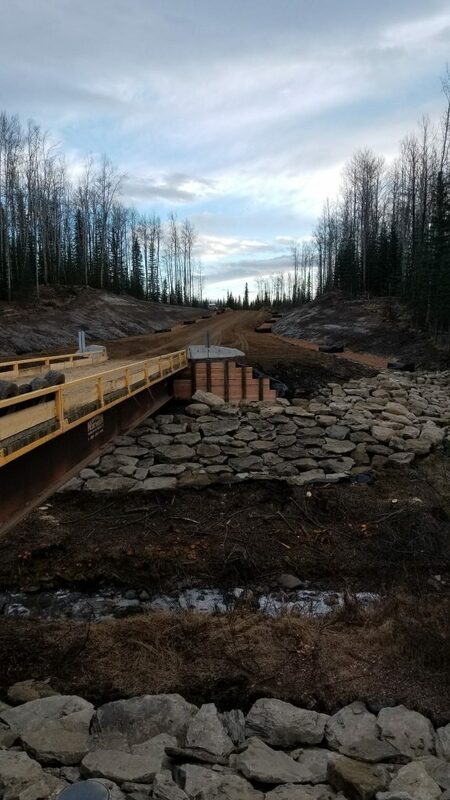 GNB completed all aspects of the bridge installation including pile driving (12-inch piles), abutments/wing walls, hauling and placing of rip rap, and construction of approach works. 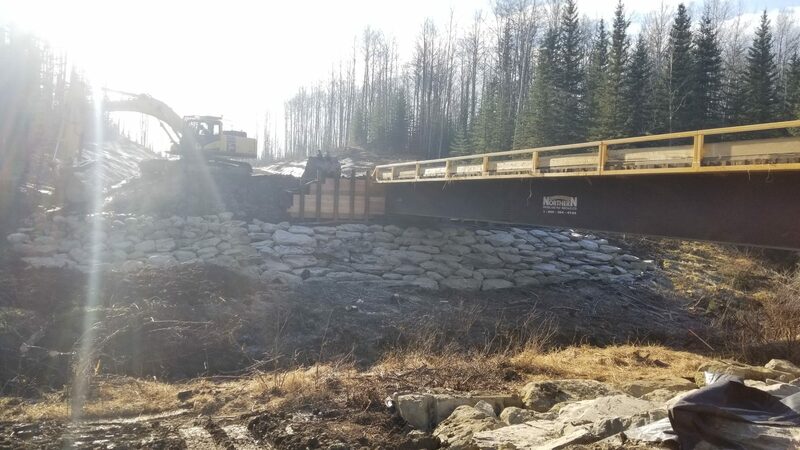 In order to access both sides of the bridge for efficient construction, GNB also installed a temporary bridge on site for use during construction. Prior to the installation GNB conducted repair work on an existing bridge provided by the client, including decking and deck panels. Equipment used on this job included sheepsfoot and smooth drum packers, our crane, pile driver, our 360 Komatsu excavator, and our 250 John Deere excavator. 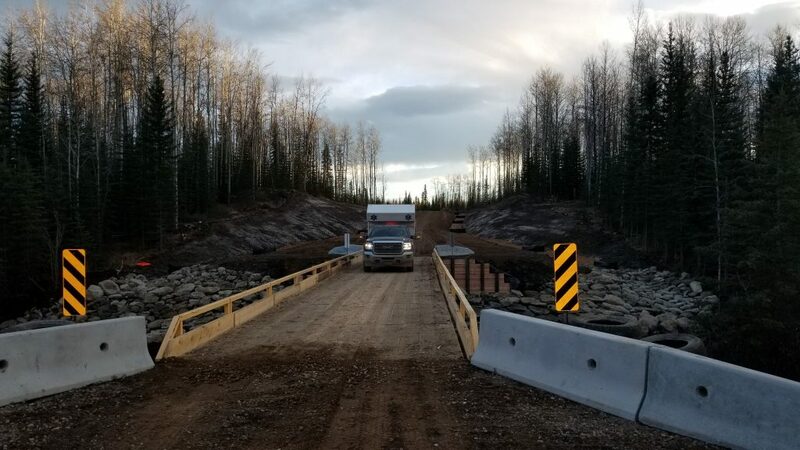 Mile 109 Alaska Hwy connecting to the Harold Ellis Rd.